In 2009, a case called Corboy v. Lingle was submitted to the US Supreme Court. This case challenges the lower tax rates that Hawaiians pay on their leases of Hawaiian Home Lands. In light of this challenge to one of the most significant Hawaiian entitlement programs, a review of the history of the Hawaiian Homelands is in order. 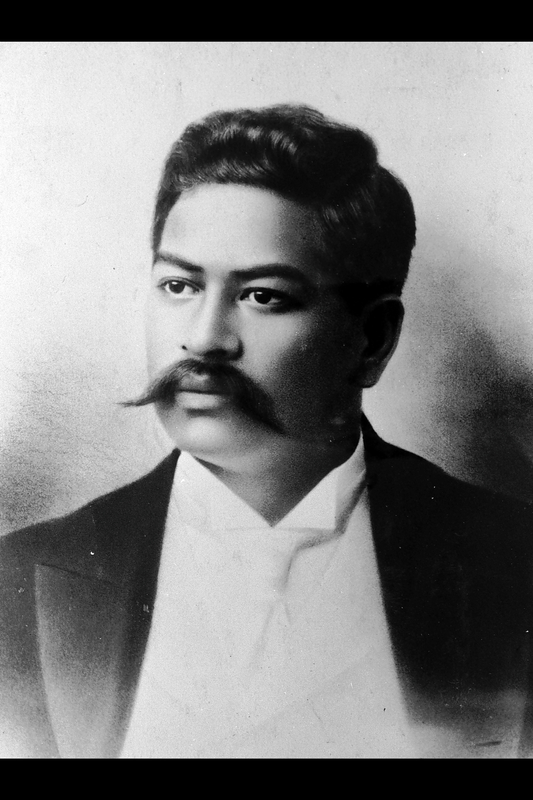 During the early Territorial period (1900 – 1920), both Congressional delegates Robert Wilcox and Prince Jonah Kūhiō Kalanianaʻole (pictured) sought the passage of a Hawaiian homesteading bill. Prince Jonah Kūhiō was the long-time republican-Hawaiian delegate in Congress (1902 – 1922). Kūhiō’s plan (which was also Wilcox’s plan earlier) was to use some of the government’s 1.8 million acres of land for Hawaiian homesteading. Sugar growers and ranchers were using much of the best portions of this land despite the Organic Act land laws that restricted businesses from leasing large portions or land for long periods. Sugar growers and ranchers came to have use of these lands because leases were initiated earlier under the Provisional Government (1893 – 1894) or Republic of Hawaiʻi (1894 – 1898), and those leases entered into before the Organic Act were exempt from the Organic Act. Leases typically involved a 30-year term. Thus the leases, negotiated in the 1890s, would expire in the early 1920s and only at that point would the lands be subject to the Organic Act land laws. The sugar growers and ranchers eventual become interested in a Hawaiian homestead bill because could become an underhanded method of maintaining their cheap, large, long-term leases of the best government lands by rescinding the Organic Act land laws, which they were soon going to have to follow. Because Republicans had direct connections in Washington, Kūhiō could not get a Hawaiian homesteading bill passed without the support of the Hawaiʻi Republican leaders. The Hawai‘i sugar growers’ pitch to Congress was that the Hawaiian Homes Commission Act (HHCA) addressed those (small farmers and potential landowners) whose interests were protected in the Organic Act land laws. Thus, with the passage of the HHCA, the Organic Act land laws would be obsolete. This logic ignored those who would not be eligible for lands, including Hawaiian less than 50% blood quantum, and low-income non-Hawaiians (mainly Asians). The HHL program faced obstacles upon its inception, including poor lands, a lack of funding, and a program controlled by individuals (at that time) who did not always have the best interests of Hawaiian beneficiaries in mind. Examples of federal and Hawai‘i State abuses of Hawaiian Home Lands include illegal transfers of title. From 1921-1991, according to Alan Murakami, “Hawaiʻi’s governors illegally transferred over 30,000 acres of Hawaiian Home Lands to other agencies and departments under executive orders and proclamations” The Territory of Hawaiʻi also illegally conveyed the fee title to 650 acres of trust land to private interests. 1,356 acres of Lualualei Valley (Nānākuli and Maʻili) conveyed by and to the federal government for military purposes. Use for military purposes was usually for a “nominal fee” of usually $1.00 per year – for example, 295 acres at Pōhakuloa, Hawaiʻi Island and 25.7 acres at Kekaha, Kauaʻi. Many uses of Hawaiian Homelands for public parks and schools violate the intent of the trust. The problem of Department of Hawaiian Home Lands (DHHL) abuses was significant enough that settlement was made for both Federal and State abuses of the trust. In 1991 the HawaiʻI Advisory Committee to the US on Civil Rights released a report called A Broken Trust, which documented “seventy years of failure of the Federal and State Governments to protect the civil rights of Native Hawaiians,” and detailed many of the abuses. In the report, Haunani Kay Trask testified that “these trust assets make us the wealthiest Native Americans in the United States. Despite this fact, the Native Hawaiians are the poorest, the sickest and least educated of the state.” For Federal abuses, in 1995, the US agreed to compensate the DHHL for taking 1,400 acres of land. The military also gave DHHL land at Kalaeloa for the Lualualei lands it uses DHHL. For State abuses a settlement with DHHL was approved in 1995 for $600,000,000 ($30 million for 20 years). In the 1990s and 2000s, the performance of DHHL improved, and leases were awarded at an unprecedented rate. At the same time, the strategy of making the trust “self-reliant” was maintained. This encouraged continued leasing of lands to fund development. The tax issue, then, is far from central to the functioning of the trust. Historic abuse has devastated the potential of the trust in ways that continue to require being addressed. The Hawaiʻi legislature has already passed tax exemptions to Kuleana grant owners (from the original Māhele process of 1848-1850), so a precedent exists for the government to incentivize Hawaiians remaining on the land. Further, it is well-known that the waiting list for lands is 20,000 – awarding leases to these Hawaiians is a far more important issue to which resources should be devoted than the tax rate paid by those already on these lands.